The house builder's profits have soared by more than 40%. At least someone is basking in the ever-higher prices of Britain’s homes. Today house builder Barratt said its pre-tax profits soared by 40.3% in the second half of last year to £295m on the back of a 19% jump in revenue. Good news for UK Plc, you might think, but some will surely grumble about the growing profits being chalked up by house builders while poorer first-time buyers are still struggling to get a foot on the ladder. Yesterday Barratt's peer Persimmon said its underlying pre-tax profits were up 34% last year, and on Monday Bovis said its pre-tax profits were up 20% too. The government’s Help to Buy scheme, which offers mortgage guarantees or equity loans, has gone some way in helping first-time buyers. But some have complained that it simply adds fuel to the fire, driving up house prices even further. Barratt is certainly feeling the benefit – 32% of its buyers used Help to Buy. No wonder it was ‘pleased’ to note the equity loan scheme is being extended until 2021. Still, you can’t accuse Barratt of being overly triumphant. 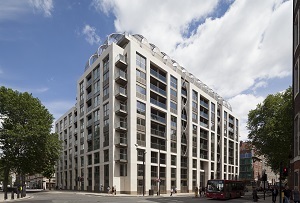 ‘In line with our strategy, we have stepped up the number of completions in the first half and we did this in a disciplined way, both financially and operationally, without compromising on the quality of the homes we're building,’ said chief exec David Thomas, in perhaps the most deadpan statement to accompany a double-digit jump in profits ever.